It was a difficult weekend for us at USA International Raceway for the Mid-American Sprint Series third weekend of racing. We had high expectations but things did not come together for us. 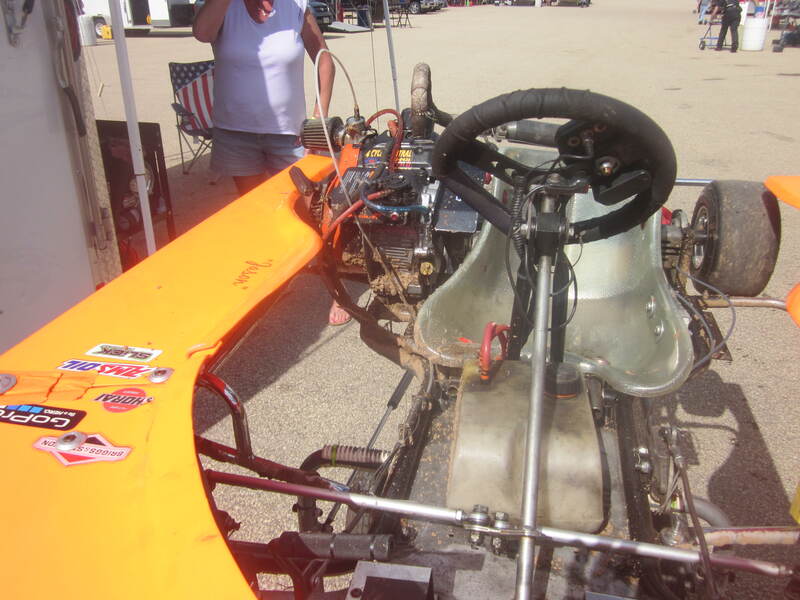 After a lot of work we did get the kart where Jason could run with the leaders, as long as he drove clean. Saturday we dialed in the kart and he took second place in the feature. Sunday started with a rain delay, and then he misjudged a corner in the feature and drove off and covered the kart in mud. All weekend long we wrestled with each other and ourselves. I think the drive and sleeping in the tent in the rain wore on both of us and prevented us from working together. We are going to have to do something different for the next time we visit this track. In other “racing” news Katie had a great weekend at Timmermann’s Ranch Fun Show. 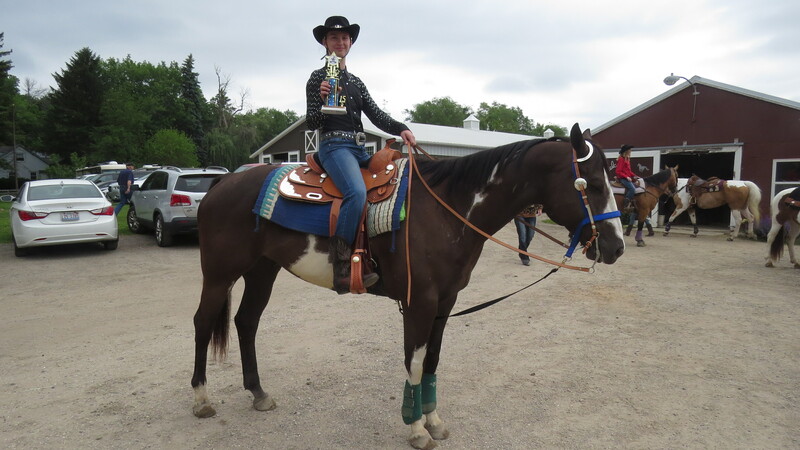 She finished first in the horsemanship class and second in flags, and is getting her and this summer’s horse ready to compete. This weekend we are going to return to our original kart track, Road America, to watch the SCCA June Sprints and join the Road America Kart Club for a night race. This is a fun weekend for us where we don’t have any expectations. It is an opportunity to simply have fun racing and try some different adjustments to see what effect they have on lap times. Thanks Peschang Racing, Sorry about the dirty tires. Congratulations to Katie on your trophy and ribbons this weekend. Karen, thank you for putting Katie on a horse.